Ginger Story-Welch, left, with UU Church Social Action Committee chair Margaret Harloe, after accepting this year’s award. 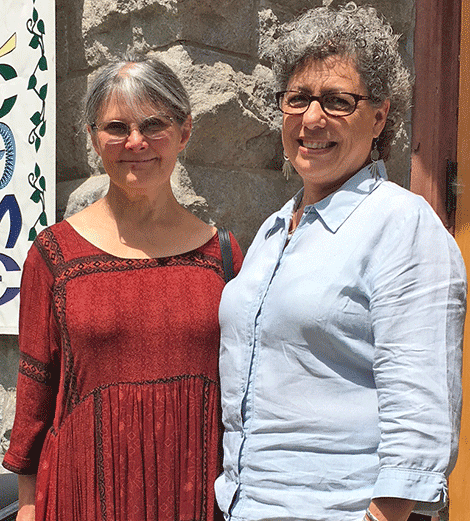 CANTON -- Ginger Storey-Welch is the 2018 recipient of the Unitarian Universalist Church of Canton’s annual Rachel Somers Grant Social Action award. Story-Welch has advocated for health care access, volunteered for hospice, and helped to create “a network of advocates in the North Country.” As a teacher in Colton, she encouraged student environmental stewardship and activism, work she has continued after retirement from teaching with the SUNY Potsdam environmental club’s litter pick up.